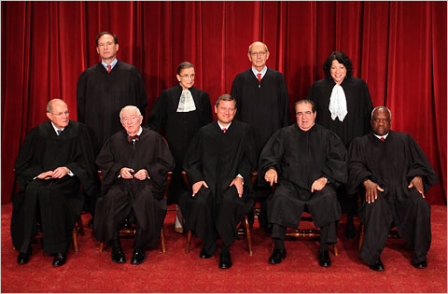 SCOTUS is again set to review affirmative action this fall. As the Supreme Court continues its review of affirmative action policies in higher education, institutions are bracing themselves for the seemingly inevitable toppling of their programs. 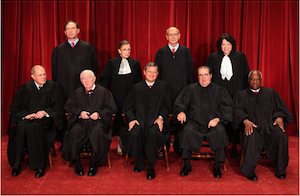 The Supreme Court is set to begin reviewing Michigan’s affirmative action ban this fall, which was struck down last November in the 6th Circuit Court of Appeals when the court ruled it violated the Equal Protection clause of the 14th amendment. “Even though not everyone wants to be able to consider race and affirmative action, everyone really likes the idea of racial diversity,” says Dr. Julie Park, a professor in the College of Education at the University of Maryland. With policies like the University of Texas’ 10 percent rule coming under increased scrutiny, it is becoming more difficult for schools to reach the “critical mass” of minority students that they have agreed will facilitate the best possible educational environment. “Affirmative action is the boxer that doesn’t get out of the ring while others are getting in the ring,” said Todd Suddeth, program director of the Todd Anthony Bell National Resource Center on the African American Male at Ohio State. “When you don’t have a diverse student body, you’re not giving them the fundamental tools they need” to succeed in college and in life, said Park, who contends that there are educational and civic benefits as well as social justice imperatives to having a heterogeneous admissions class. A continued problem is determining how to achieve the desired diversity without directly considering race, and one approach has been to consider ZIP codes as a way to achieve socioeconomic diversity in hopes that this will also translate into a racially diverse population. “Certainly one crude measure is to look at what are the demographics of the state,” he said. But in some cases, schools are facing challenges with having significantly fewer minority applicants to consider in the admissions process. Lee A. Gill, Chief Diversity Officer at the University of Akron, believes the key will be investing effort early and often to identify students of color who will later contribute to the school’s applicant pool. “We have to identify, even before the third grade, touch points [in the community] that are already available” for outreach and recruitment, including churches and community centers, he said. But many believe that it is still a matter of policy. “By leaving the decisions up to the institutions, they may very well decide to do nothing,” said Dr. Debra Thompson, a professor of political science at Ohio University. “There are thousands of different policies that reinforce racist and gender hierarchies … obscure policies which are just as condemning, just as detrimental as achieving racial equality as Jim Crow ever was,” Thompson added. But, as Thompson herself pointed out, there are many who do not see the importance of racial diversity or think that the crisis has passed. The reality that the Supreme Court has agreed to consider two affirmative action cases in back-to-back sessions suggests that this is a problem that schools will continue to face. “What’s going to happen is we’re going to end up with a population that is predominantly something other than students of color,” said Daniel. This is a reality that most experts agree will be detrimental to all students and, eventually, the broader American population. “When the majority becomes the minority and when the minority is the majority, who is going to be there if we don’t educate the minority population?” asked Lee.